DariK - Providing the real flavor of Cacao and people's passion "Dari K"
Providing the real flavor of Cacao and people's passion "Dari K"
High quality cacao beans from Polewali, Sulawesi Island in Indonesia, the second largest producer in the world. These fresh cacao beans are quality controlled and directly imported by Dari K's staff who actually visits the farm many times a year. 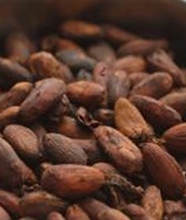 The cacao beans from Sulawesi Island, Indonesia, are roasted at our chocolatier in Kyoto to bring out its aroma. We can also customize the roast to make the cacao sour or bitter according to your taste. 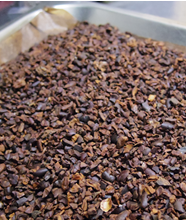 Cacao nibs are roughly grinded roasted cacao beans with its skin removed. The aroma and the bitterness of real cacao beans can be savored. 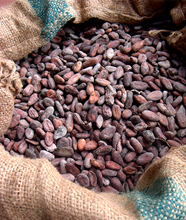 Cacao nibs can be widely used for cooking and baking. 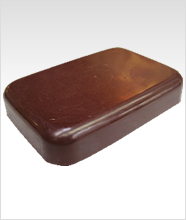 100% pure chocolate made from cacao bean paste. A versatile product with bitterness, fruity sourness and a nutty aroma. Copyright© 2015 DariK All rights Reserved.